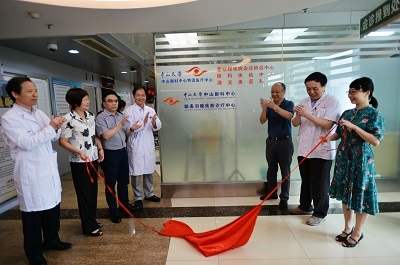 The Ocular-Surface and Tear-Film Disease Center, was established at the Zhongshan Ophthalmic Center, Sun Yat-sen University on May 30th, 2018. It is devoted to the advanced diagnosis and treatment of Dry Eye and Ocular Surface Diseases. Ocular Surface Diseases are disorders of the tear-film, lid-margin, conjunctiva and the epithelial layer of the cornea which can seriously affect the patient's visual quality and quality of life. As one of the most common Ocular Surface Diseases, Dry Eye has becomes a global health issue. It is estimated that at least 300 million people suffer Dry Eye in China. Factors including the excessive use of mobile phones or computers, environmental pollution, systemic diseases (diabetes, hyperthyroidism, rheumatic autoimmune disease, etc.) and others have led to an increasing incidence of Dry Eye. Symptoms of Dry Eye include discomfort or pain, redness, itching and blurry vision and in severe cases, blindness due to corneal epithelium defect, corneal ulcer and scarring. Allergy, infection and pterygium are other common causes for a patient's discomfort and visual impairment. Some rare ocular surface disorders such as pemphigus, symblepharon, tumour and Stevens-Johnson syndrome can result in the loss of vision and physical appearance. Therefore, accurate evaluation and effective management are required for patients suffering with Ocular Surface Diseases and this is why the Ocular-Surface and Tear-Film Disease Center has been established. Zhongshan Ophthalmic Center (ZOC) is the highest ranking Ophthalmic Center in China. The Asia Pacific Academy of Ophthalmology (APAO) has set-up its permanent headquarters in the State Key Laboratory for Ophthalmology. The ZOC, has earned its wonderful reputation for its medicine, education and academic research. Ocular Surface Diseases can affect the cornea, which is critical for visual quality. The ZOC employs a team of highly specialized experts, who have been engaged in clinical and research work of both ocular surface and cornea diseases. They are renowned for their expertise in the diagnosis of these diseases, surgery and drug treatment. Several of them were members of the Expert Committee of the 'Asia Dry Eye Society', the Chinese Medical Association's 'Cornea Society' and the 'Ocular Surface and Tear-film disease Society' on both sides of the Taiwan Straits. They participated in establishing the definition, diagnostic criteria and treatment of Dry Eye, meibomian gland dysfunction, pterygium, allergic conjunctivitis, infectious keratitis and ocular demodicosis. ZOC possesses the latest 'State of the Art' technology, including meibomography and non-invasive tear-film breakup analysis and a variety of additional in-depth diagnostic tests and treatments. 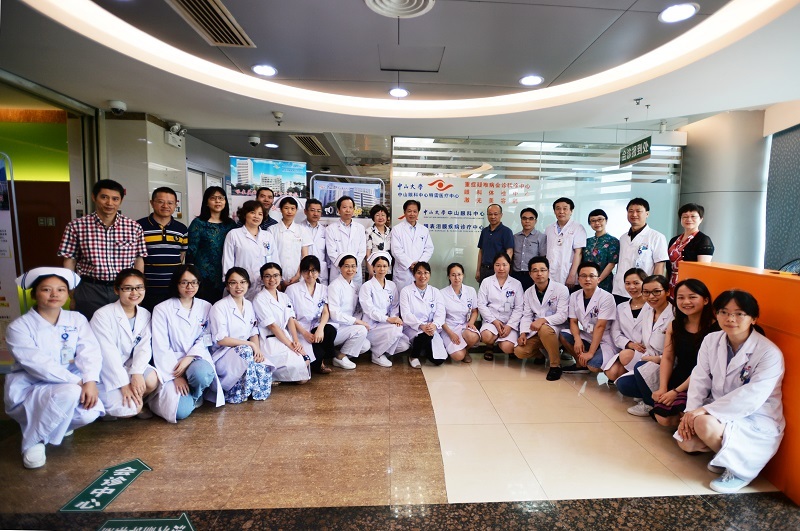 This, combined with extensive experience of our team makes The Ocular Surface and Tear-Film Disease Center is a unique resource for the treatment of Dry Eye and Ocular Surface Disease patients in China.